At the 13th Imaging Network of Ontario Symposium in London (ON), Nisrin Abou-Seido, Jennifer Andrea, Kaci Carter, and Maggie Hess represented the Perk Lab brilliantly. Between them they authored 5 posters and 3 oral podium papers. During the conference, I kept receiving praises from poster judges, session chairs and many senior colleagues about how well prepared our students were. 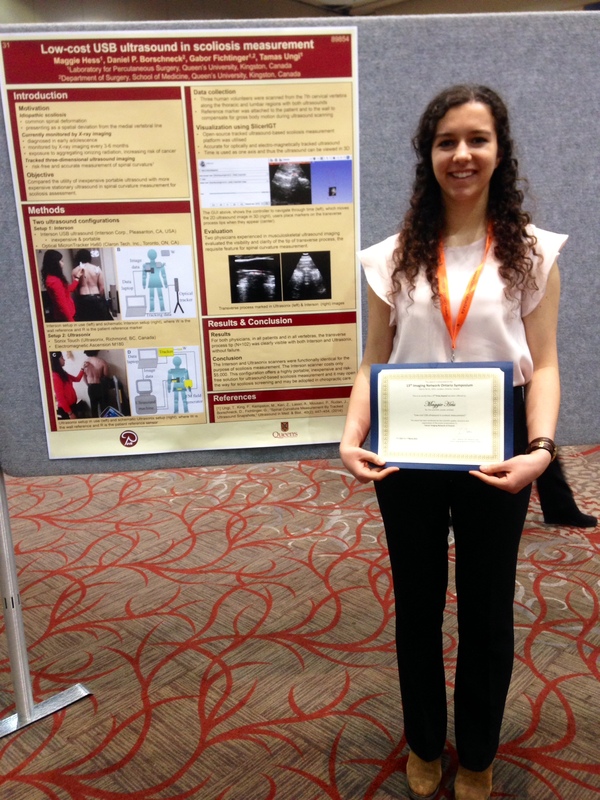 The icing on the cake was that Maggie Hess received the Second Place Poster Award of the Cancer Imaging Network of Ontario (CINO) Consortium.